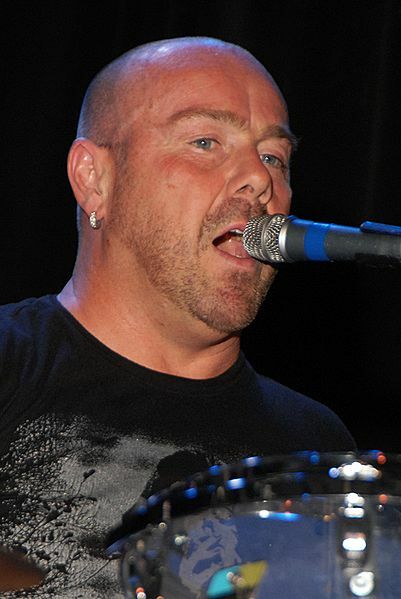 Jason Bonham (born 15 July 1966) is an English drummer and son of the late Led Zeppelin drummer John Bonham, by the latter’s wife, Pat Phillips. n 1988, Bonham joined former Led Zeppelin guitarist Jimmy Page for his Outrider album and tour. In May of the same year, Bonham appeared with the three surviving members of Led Zeppelin for a performance at Atlantic Records 40th Anniversary concert in New York. In 1989, Bonham appeared as a special guest at the Moscow Music Peace Festival, performing the song “Rock and Roll” with many major rock stars of the day. That same year, he formed his own band, Bonham, whose Zeppelin-inflected first release The Disregard of Timekeeping had a hit single, “Wait for You”. However, after a lukewarm reception for their 1992 release, Mad Hatter, the band was dissolved, and Bonham concentrated on session work and guest appearances. In May 1990, Bonham married Jan Charteris, in Stone, Kidderminster. His wedding reception included a jam with Jimmy Page, Robert Plant, and John Paul Jones. The Bonhams have two children, a son named Jager (not named after Mick), and a daughter, Jaz. Bonham drummed for Paul Rodgers on the Grammy nominated Muddy Water Blues: A Tribute to Muddy Waters project. A year later with Slash and Paul Rodgers, he appeared at Woodstock II in 1994. Bonham reformed his band with a new lead vocalist, Marti Frederiksen, replacing Daniel MacMaster. Renamed Motherland, they released the album Peace 4 Me later in 1994. However, his down-to-earth nature always showed—on one occasion making an encore drumming appearance for local Led Zeppelin tribute band Fred Zeppelin. In 1995, Jason represented his father when Led Zeppelin was inducted into the Rock and Roll Hall of Fame, with his sister Zoe by his side. Bonham soon put together another solo project which culminated in In the Name of My Father – The Zepset, which featured the songs of Led Zeppelin. Proceeds from the album went to charity. The album followed up with When You See the Sun. Bonham drummed for Healing Sixes from 1999–2003 and appeared in the film Rock Star, which starred Mark Wahlberg. The band in the movie, Steel Dragon actually recorded the songs featured in the movie and the soundtrack. Following an album and tour with his aunt Debbie Bonham, Jason Bonham was invited to drum for hard rock group UFO. In 2006, he recorded with Joe Bonamassa. Bonham starred with Ted Nugent, Evan Seinfeld (Biohazard), Sebastian Bach (Skid Row), and Scott Ian (Anthrax) on the VH1 reality television show, SuperGroup, in May 2006. The musicians formed a band called Damnocracy (after ditching the names FIST, God War, and Savage Animal) for the show, during which they lived in a mansion in Las Vegas for twelve days and created music. Jason also played drums live with Foreigner from 2004 to 2007 and part of 2007 to 2008.